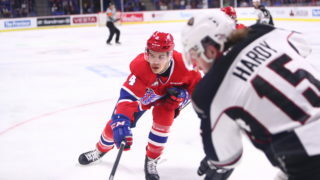 SPOKANE, Wash. – The Spokane Chiefs announced today that 2000-born defenseman Luke Gallagher has signed a Standard Player Agreement and committed to playing in the Western Hockey League. 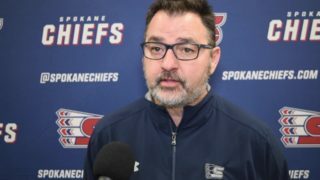 Gallagher was Spokane’s eighth round (163rd overall) pick in the 2015 WHL Bantam Draft. 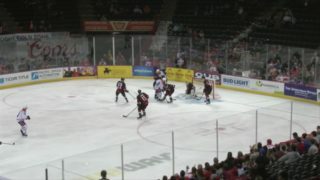 A native of Spokane, Gallagher stands 5-foot-7 and 145 pounds and impressed coaches with his ability as a puck-moving defenseman. He posted 19 points (four goals and 15 assists) in 33 games with the Edge 15s of the CSSHL last season. 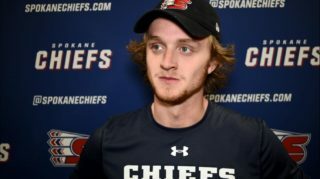 For the upcoming 2016-17 regular season, Gallagher is expected to compete with the Spokane Braves of the Kootenay International Junior Hockey League (Junior “B”). 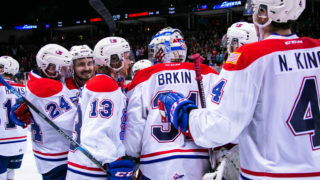 The Spokane Chiefs open the 2016-17 regular season on the road on September 24 before kicking off the home schedule with Bud Light Opening Night & Pre-Game Party on Saturday, October 1 versus the Tri-City Americans at Spokane Arena. Ticket packages are on sale now and start as low as $70. 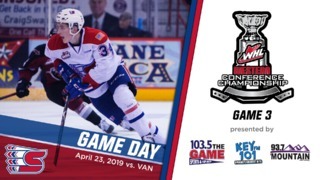 For more information, stop by the Chiefs’ Ticket Office in-person on the southeast corner of Spokane Arena, call 509-535-PUCK or click here. For single game tickets, click here.